Last week I expressed my surprise to find opposition to teaching yoga to children. Many of you offered helpful insight, both in comments and privately. The more I let my feelings settle, the more I realized it wasn’t such a big deal to just rename yoga in my classroom. My decision? 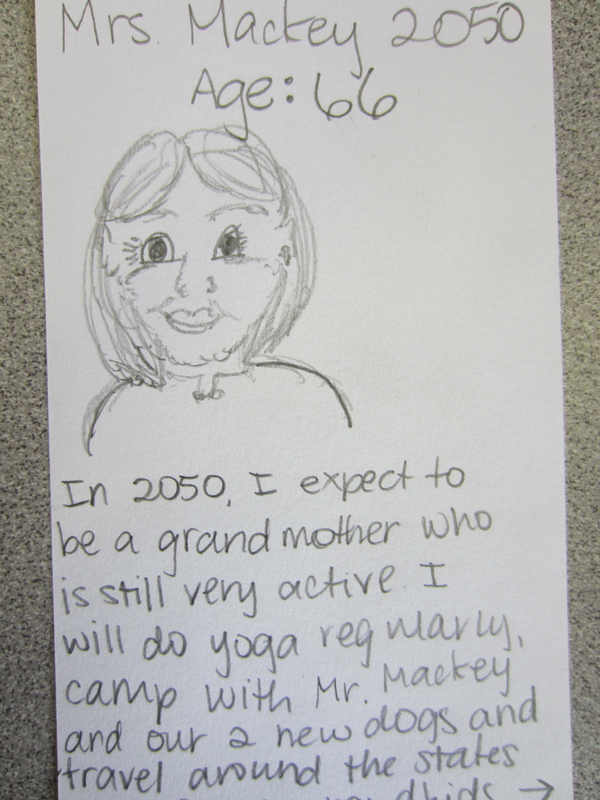 Yoga will be called “Be Ready to Learn,” or possibly BRL for short. 1. Breathe: Count breaths to quiet outside thoughts. 2. Stretch: Get blood flowing to your brain. 3. Focus: Sit-up straight, show STAR, ask questions. I’m excited to develop an actual thought-out plan to help student Be Ready to Learn through movement and breathing exercises this year. I held it together when I read them my goodbye letter with each of their names remembered, I did not cry when I hugged them goodbye, I kept the tears in when I sat in my empty classroom, desks and chairs stacked, our two years in time gone. I even smiled when teacher after teacher asked me if I was alright at our end-of-year barbecue. Apparently, I’m not the only one who dreads goodbyes. Yesterday, the first day of summer, I felt antsy. I could not put my finger on it. There is always the anxiety of not wasting a single second, because this too shall pass, but that wasn’t quite it. I woke up at 7AM wide awake, worked on my book, surfed the internet, did yoga, cleaned the house, and went on a date with my husband to a fancy restaurant, a perfect start to six weeks of freedom. Time passed slowly as it does in the beginning of a long break, each day accelerates a little more. When we got home and snuggled up for a British show akin to House Hunters International, my husband brought over his iPad and pressed play. As the words washed over me, I could not hold back anymore. The tears flowed down my cheeks, a few sobs escaped, and my poor husband looked back at me like he had no idea what he had done. A group of girls in my class surprised us one day with this song at morning meeting, complete with cups thumping in rhythm against the desks and the a capella beauty of child voices singing in unison. The words of their song did not hit me then. But now, they’re right. I’m going to miss them when they’re gone, the way they talk, the way they walk, I’m going to miss them when they’re gone. I keep telling myself it will be easier next time, that I won’t bond as much as I did with these first kids I kept for two whole years. Some teachers tell me it gets easier, some tell me they cry every single time. Who knows where I will fall, all I know is I managed to love these kids an awful lot. I’m not going to dwell, but last night it felt good to let it all out. This week I was startled by the revelation that some people feel yoga challenges Christianity. As someone who has taken classes in all kinds of studios, this thought had never occurred to me. Even with Yoga’s Buddhist and Hindu roots, I have never once heard talk of God in a yoga class. Instead, I have found deep spaces of quiet to reflect on who I am and connect with myself, both mentally and physically. While yoga is becoming more and more a part of who I am, its influence is through quieting the mind into a space of mindfulness, not through guiding me to surrender any of my core beliefs. So why does it matter to me that some Christians are bothered by yoga? The answer is simple. I want to teach yoga in my classroom, but I teach some deeply religious children with families sensitive to anything that might challenge their beliefs. It has already been suggested that I keep the word yoga out of what we’re doing. To me, it’s more important that I give my students a physical outlet for their stress than any sort of label. Still, I cannot help but feel bothered that this is the case. Yoga is powerful and I want to share it with my students in a way that helps to dispel misconceptions. The little yoga that we’ve done this year has calmed them. Our contests of who can hold tree the longest provide quiet moments of concentration that connect my students with both their minds and bodies. Our breathing and visualization exercises have given them the strength to overcome anxiety in both social and academic situations. Multiple times in the past couple years, I have caught my students using our brain break techniques on their own to relax their minds. Jesus or Buddha has had nothing to do with it. A friend came and talked to me after school today. She is deeply religious and I knew she would be able to help me understand. I told her how I wanted to do more yoga with the kids but was just beginning to understand what I was up against. She admitted she once felt the same way but then attended a yoga retreat with a minister friend and realized it was a way to connect with herself and her beliefs, not a call for change. Another childhood friend teaches “holy yoga” for free at her church. Clearly both can exist together, but people who do not know are still afraid. Sometimes I go to a church downtown that honors all faiths. It does not ask you to leave your beliefs at the door, but rather invites Christians, Muslims, Jews, and Buddhists to see how their faiths intertwine and share so many common ideas. This concept puzzles some of my devoutly Christian friends. They cannot understand how Christians can acknowledge multiple paths to God, but the world is full of different faiths. That’s not going to change. We might as well try to understand our differences and find some common ground. But here’s the real irony, all this religious strife aside, teaching yoga has nothing to do with religion for me. It’s simply the act of connecting body and mind to create a healthier self. The kids respond well to it. Never have I once tried to influence their beliefs. I don’t want to change them, I just want to give them a way to manage the stress in their lives and improve their physical fitness. For the time being, I plan to continue my endeavor under a different name, but I want to reach the point where yoga mats are welcome in my room. Public schools in many parts of the country have already embraced yoga for kids. I want the same for my students. I leave you with two incredible clips that show how yoga is changing lives for at-risk youth around the country. While the second clip is low quality, looking into the eyes of homeless young people and hearing them talk about how yoga gives them the heat to survive the cold is life changing. I discovered your agency while researching representation for my own writing. 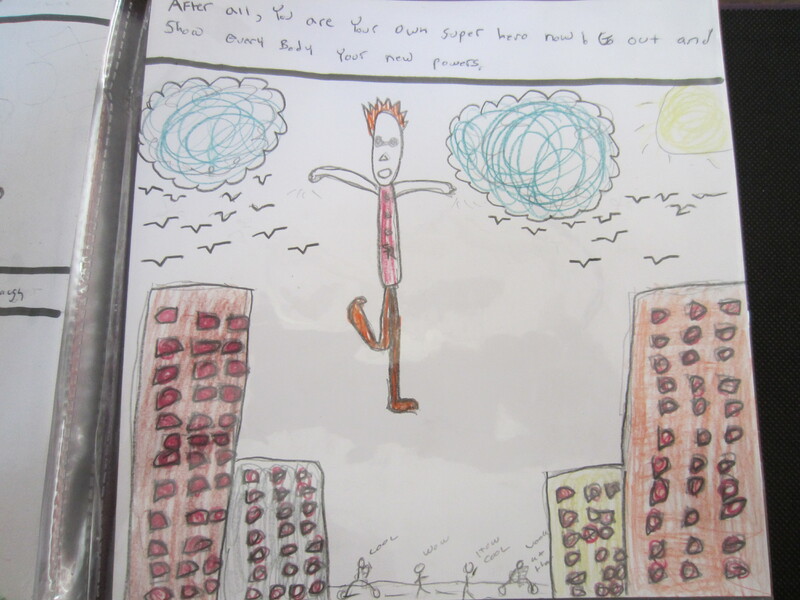 However, I am querying on behalf of my 11 year-old student. 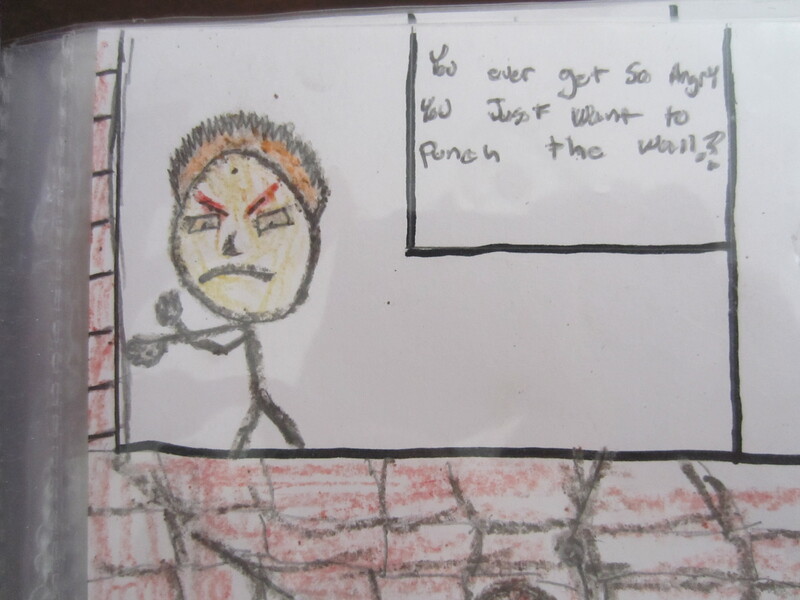 For his fifth grade project, he wrote and illustrated a 1,663 word graphic novel about coping with ADHD and anger management. 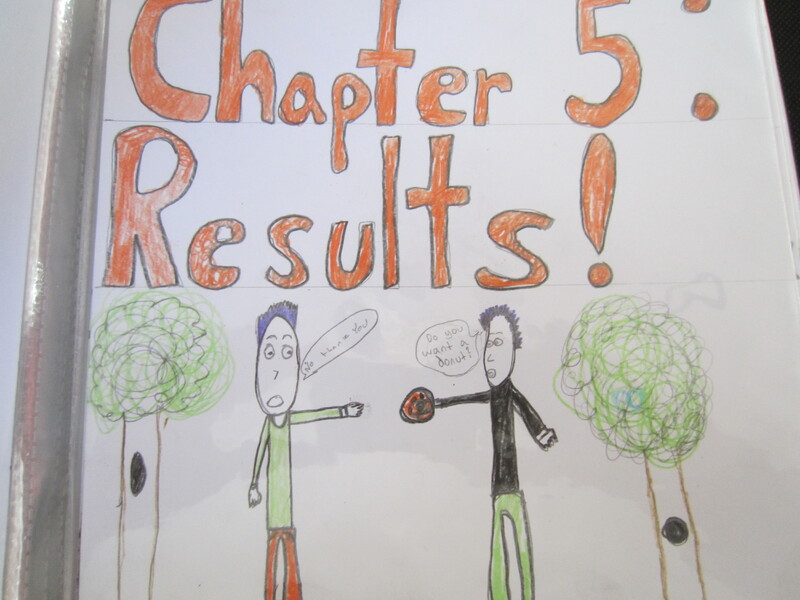 The book chronicles his real challenges in overcoming anger and focusing in school despite his difficulties with impulse control. 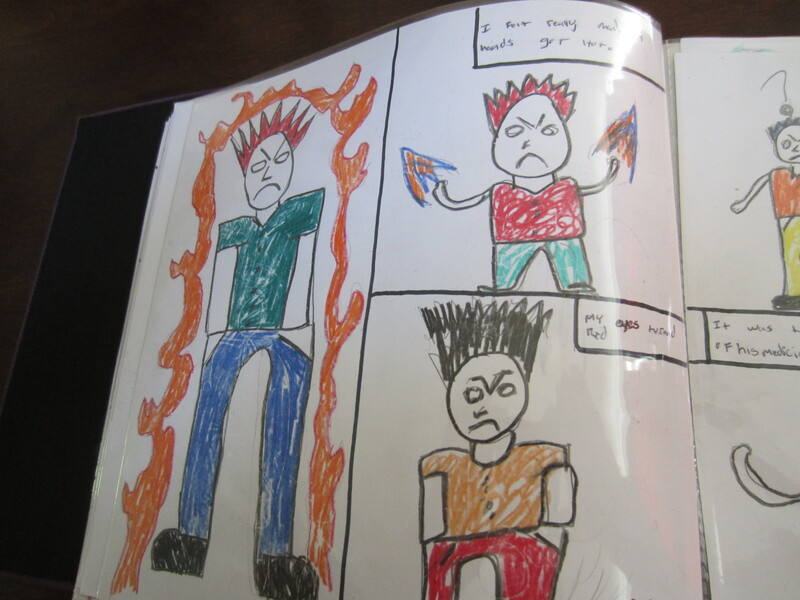 Each page is illustrated with examples from his own life in how he went from a kid who punched someone for calling his brother gay to a kid who learned to take deep breaths and get help from an adult instead. 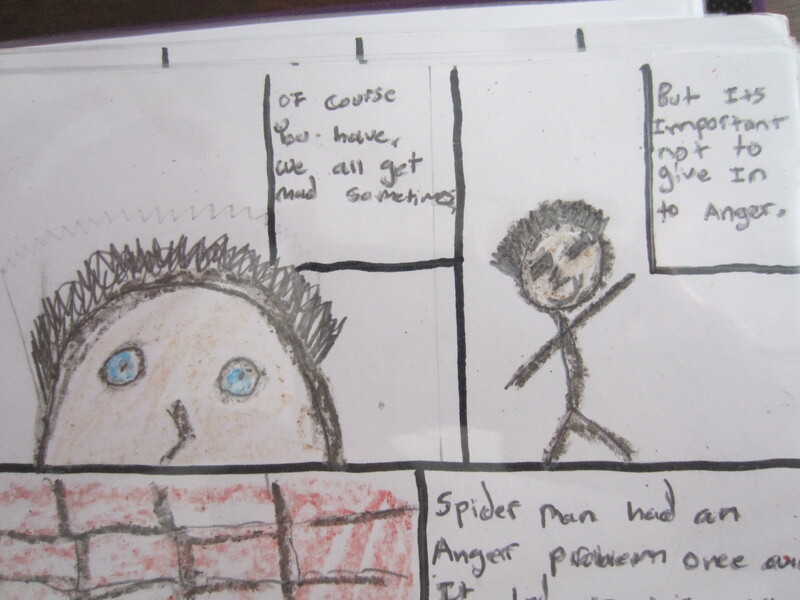 The story is centered around the premise of becoming your own superhero and includes humor, such as his love for shouting out the words “hot dogs” in class. 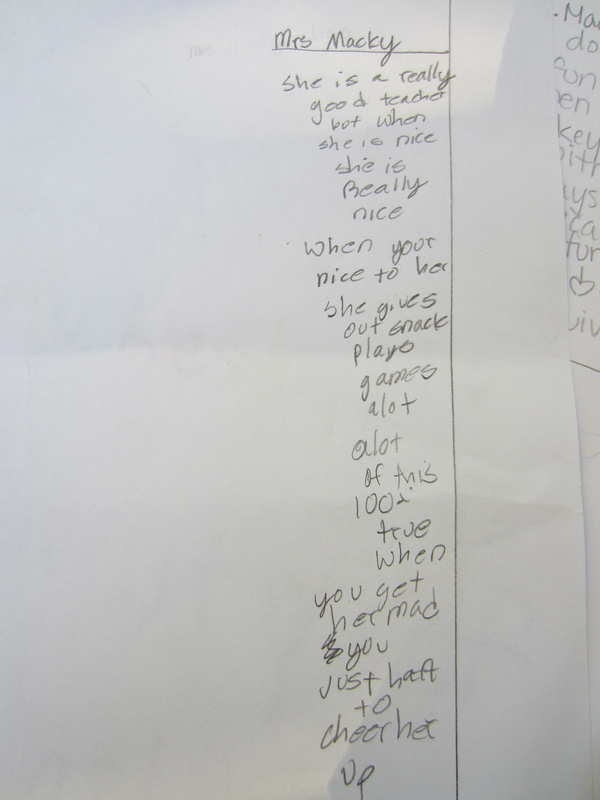 My student’s family gave me permission to query on his behalf. I have been his teacher for two years and watched him transform from a student who transferred because he was getting in fights to a kid who diligently created this book to help others like him. His life story is truly remarkable, with a band of young relatives joining forces to raise him in the absence of his biological parents. 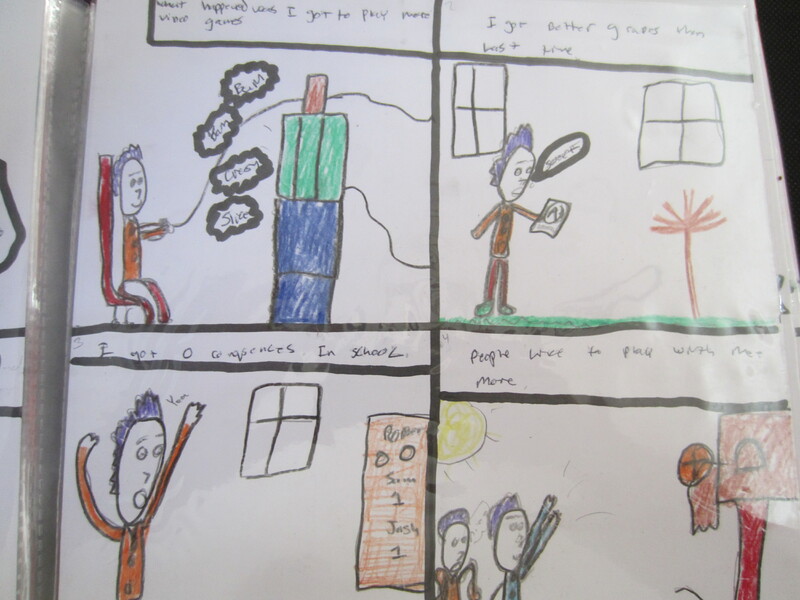 If you are interested, I will leave it to his family to share more details, but rest assured it is a story that would melt any heart and give real credibility to the obstacles he has overcome to become his own superhero. As a fourth and fifth grade teacher, I can vouch that this book would fill a real niche in education, particularly for students who struggle with similar challenges. At my school, this book has become famous, with students beyond my doors asking if they can borrow it for just ten minutes. I am certain that teachers and families alike would love to share this book with any kid who has ever felt angry. Thank you for taking the time to consider his submission. This is a multiple submission. Each chapter is organized by idea, my favorite is chapter three, “The Last Straw,” but the chapter “Results” is also pretty darn awesome. I owe my kids a little web redemption today. Despite the challenges of this roller coaster week, we ended on a high note. I let go, they settled down a bit, we all won. My dad even brought them all Belgium chocolate bars, which they eagerly devoured movie-theater style as we watched students practice their culminating presentations. Listening to their projects was enough to make your heart melt into a chocolatey syrupy mess. Sometimes I really wish I could tell all their stories. Sure I can tell you that the girl who collected donations for W.E.A.V.E. ended with a tear-jerking declaration that helping battered women changed her life, or that another little girl recorded a song in an actual studio about all of the things that make her happy, including food and fluffy stuffed animals and One Direction, (yes, she was the girl with the purple guitar). But, what I can’t tell you is the story so personal, so moving, I feel reinvigorated to teach these children. His story might follow one day. I’m trying to convince his family to let me find an agent for the book he wrote about anger management and ADHD. It’s that good and he’s only 11. Shoot, I’d buy five copies for my class alone. Don’t hate on my art skills, I did this in 2 minutes flat before school. It bothered them we didn’t have anything up at 2050 on our class timeline, so now we’ll have us, just old (and apparently bearded in my case). I have to admit, I teared up a bit when I imagined myself as 66 with published books living at the ocean with my husband and two new dogs. A lifetime and a moment away. PS. Care to share? The comment box is waiting just a scroll away. My head hurts. This week has been painful. 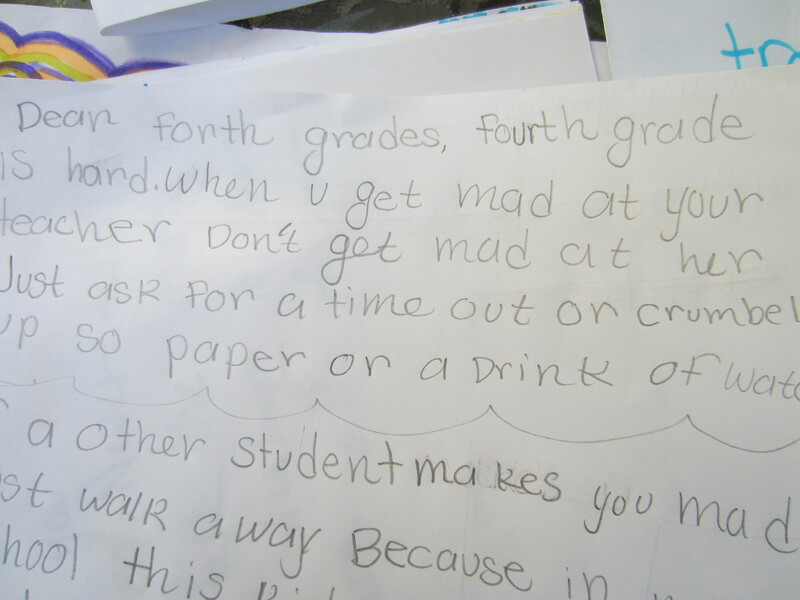 Many of my students aren’t themselves, easily agitated, disrespectful, messy. Monday morning I almost called in sick because I wasn’t feeling well, but I didn’t want to give up a single day of our last three weeks together. Today I’m singing a different tune. I love them but I’m ready for a break, even if that break means saying good-bye after our two years as a classroom family. At first I felt really disappointed by the changing climate in our classroom. I blamed hormones, the weather, myself. Then I got to thinking. Maybe for some kids, this is how good-bye works. It’s easier to leave when you’re angry or things aren’t quite right, than when everything is routine, normal, happy. Chaos as a distraction. Rebellion as the final act of separation. I think I’m getting a tiny taste of what it is like to raise teenagers. The time has come for me to let go. I will miss them, but I won’t miss this. To be fair, good moments have punctuated the week as well. 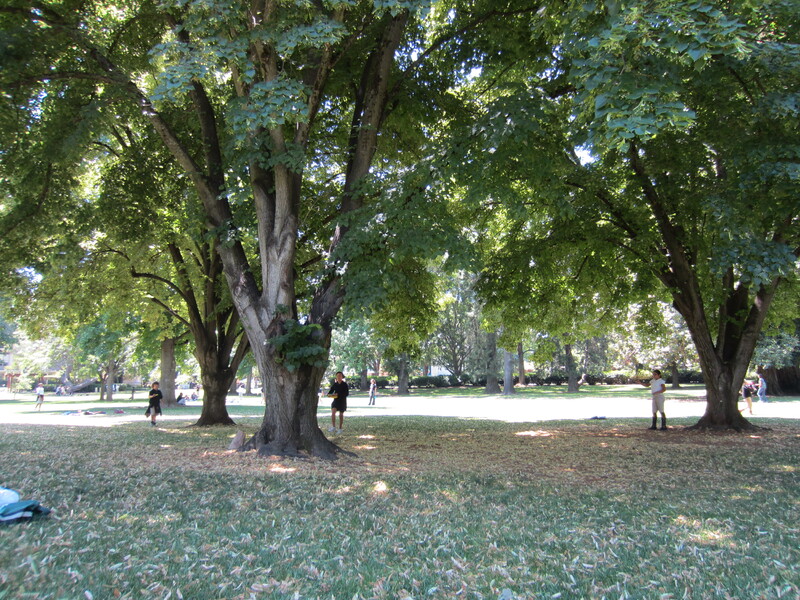 Today as I sat alone and watched them play on our field trip to Sac State, I felt both distant and at peace. I had a guest teacher on Monday so I could visit my mom in Mount Shasta without having to rush back and forth. 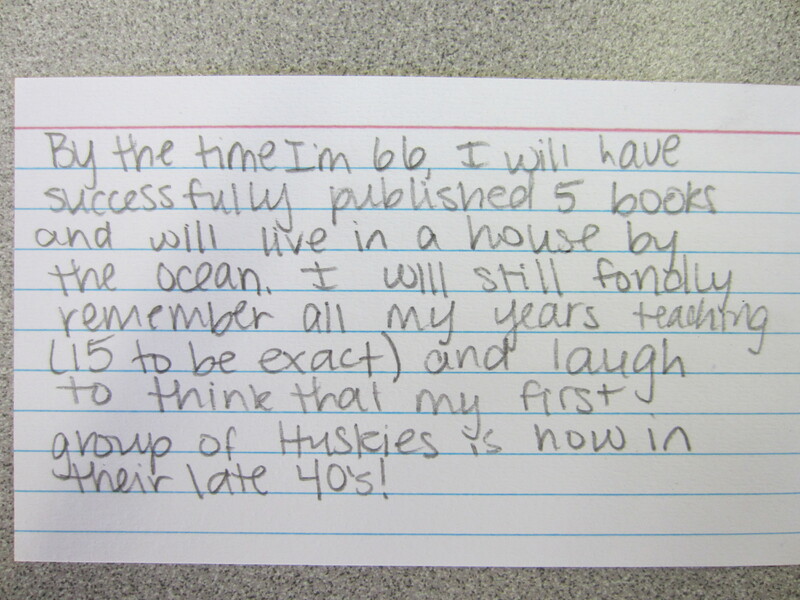 One of the assignments I left was for students to write a letter to my incoming fourth graders. I asked the students to offer advice from their two years with me. 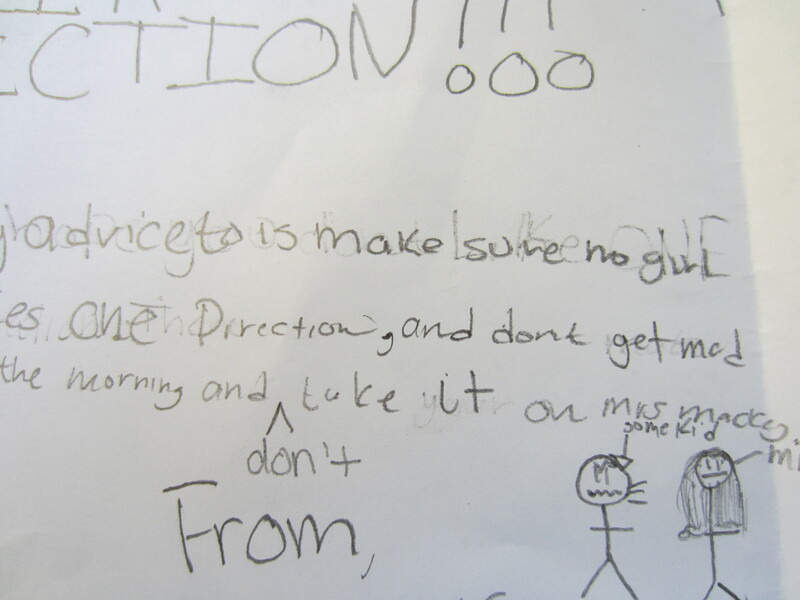 To my delight, the notes were both thoughtful and funny. 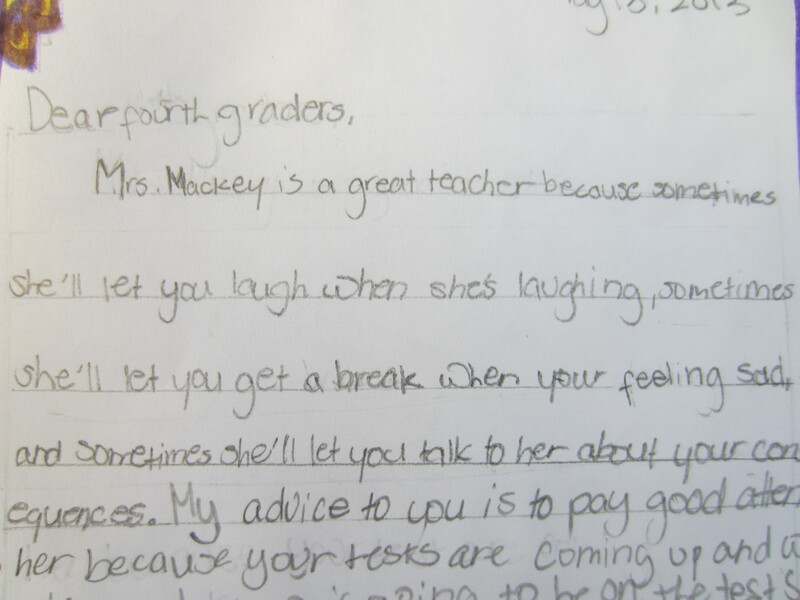 Proper anger management and my weakness for laughter were reoccurring themes, even from some of my toughest students. This gave me hope that maybe I really have gotten through to them, even if it does not always feel like it. Just three weeks and two days left. It’s going to be hard to say good-bye. 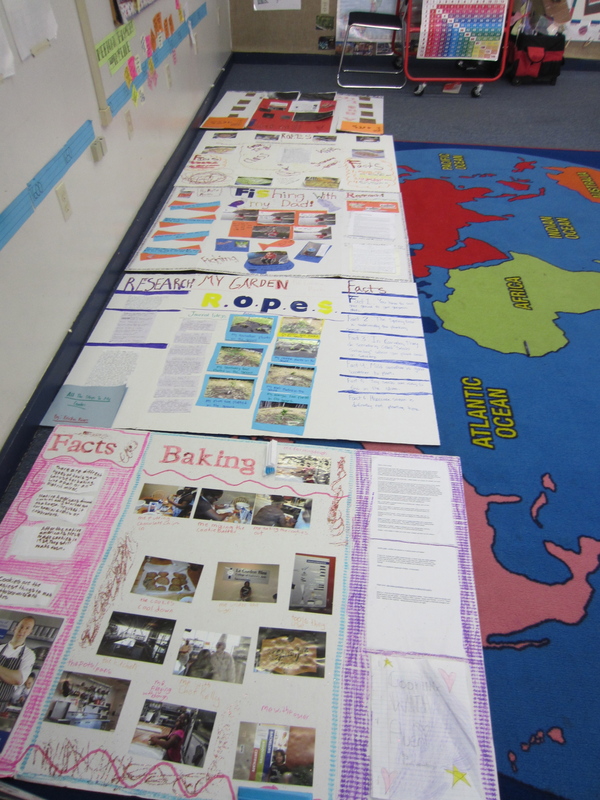 This week we’re finishing up our trifolds for our ROPES projects, a rite of passage before middle school. 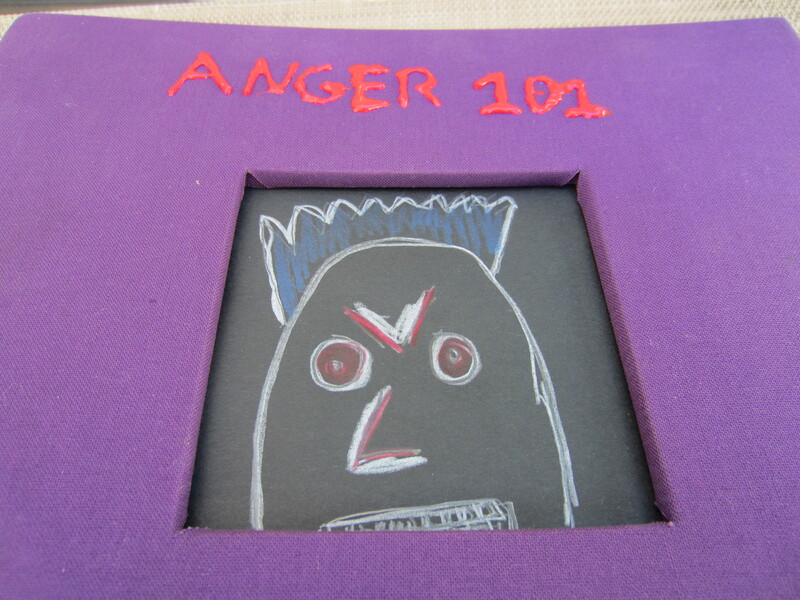 Activities ranged from fundraising for WEAVE to books on anger management. I have an amazing group of kids. “When you get her mad you just have to cheer her up.” So true. One day I told them it was their job to cheer me up. Whenever I get in a funk, I try to make it into an opportunity to model healthy approaches to mood management. And, “She’ll let you laugh when she’s laughing.” My favorite line of all. PS. One last disjointed note. Today we watched this 50 state song and the kids swayed and clapped and sang along. Youtube has made the world of teaching infinitely cooler than back in my day of Schoolhouse Rock… They loved it so much we had to watch it twice, and I have to admit, it’s pretty cool, regardless of how old you are… Made me realize how badly my students need an actual music program at our school. Standardized testing is a necessary evil, at least for now. Yes, I think it puts too much pressure on children and teachers. Yes, I think it shifts priorities. However, it is a way to compare schools and prove it is possible to close the achievement gap between low and high income communities. In two years, it will change completely, and while I have expressed my doubts about requiring schools to give computer-based tests, I’m hopeful the adoption of the National Standards will be a change for the better. Word on the street, teaching will slow down, be more conceptual, an improvement. My fingers are crossed. Still, I was at peace, with a smile on my face. If only I could find this space every day. I suppose the offer of fruit snacks and Capri Suns to put the room back in order didn’t hurt either. Today we started a GLAD strategy where students express their thoughts and questions about visuals for a unit. 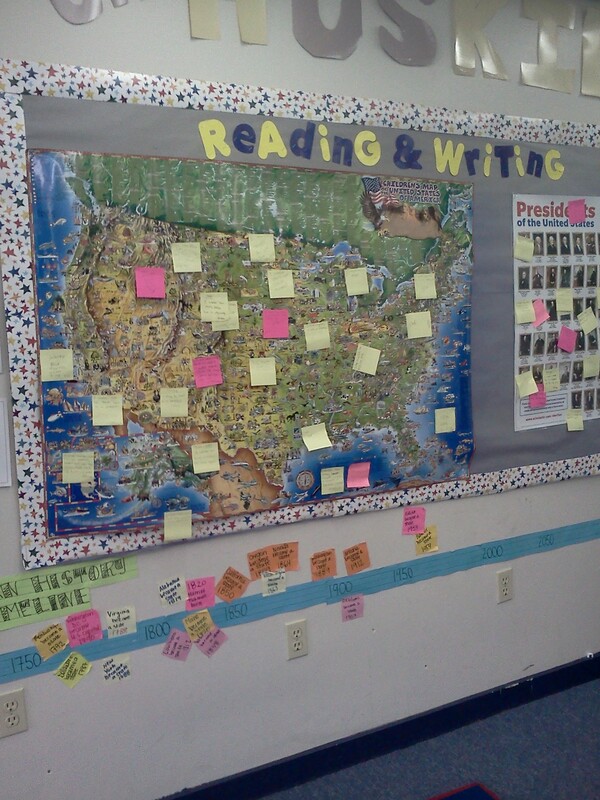 We put ours on a map of the United States and a poster of the U.S. Presidents. My favorite question: “Why has there been only one African American president?” Next students will create definitions for president, country, and state, then make informational cards about each president to stick on our timeline. May is my favorite month to teach. Loud, fake 11-year-old laughter from a kid who walks around saying “wub, wub, wub” all day for a reaction. You’d think he’d like my joke a little better. I’m officially part of a different generation, you know, the older generation that makes puns. Thankfully, I still get a few unexpected laughs here and there. For those of you who know nothing about dubstep, there is a lot of wub, wub, wubbing going on, (try saying those words in a deep voice). In fact, the most intense dubstep sounds like a scary car going down the street blasting its music in the middle of the night. For me, it’s more reminiscent of a horror movie than something I would listen to for pleasure. I did. Blood Hound Gang is case in point. The roof, the roof, the roof is on fire… However, dubstep is proof I’m getting old(er). It makes me feel like I’m about to have a migraine, (don’t tell my little sister, pretty sure she goes to dubstep concerts). 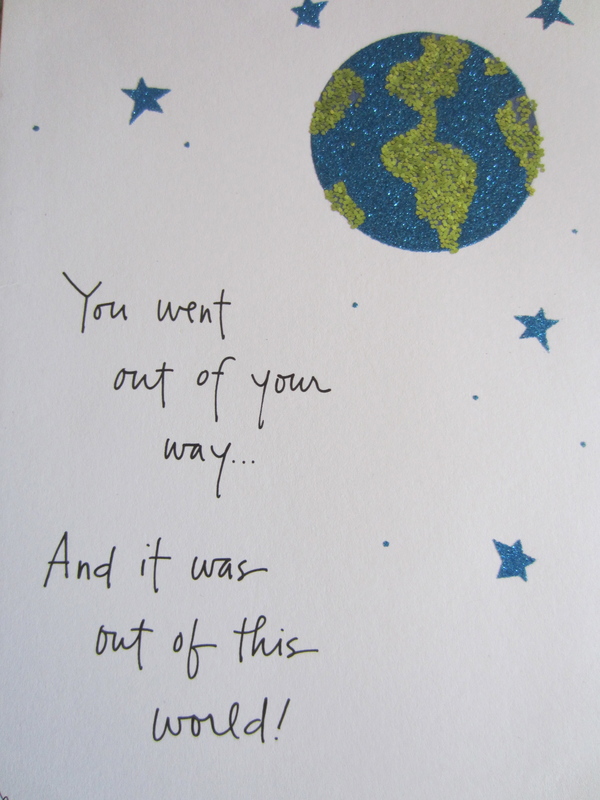 Funny thing, I picked a card in my yoga class this week about letting go of my past self. I gave this a lot of thought. All I could come up with is that my vision of myself as the shy kid is no longer relevant. I guess my distaste for dubstep just goes to show the no longer a kid thing is definitely true. I would have loved all the noise. Teaching always moves through ups and downs. Sometimes it feels like too much, sometimes it feels just right. This week, it feels like exactly where I need to be at exactly the right school with exactly the right children. I hope this is symptomatic of my personal growth over time, as opposed to the winding down of a school year or the change in weather, but whatever the cause, I’ll take it. Too often Sundays feel anxious. Instead of a day of relaxation, they usually feel like the day before Monday, the day before my life shifts back into work mode. Lately, they’ve been different. They have felt untethered to the demands of the week. Likewise, where Friday used to feel like my saving grace, lately it has felt instead like an unexpected surprise at the end of the day, like I could keep going, like I still have more to do and do not mind. I want to know what the difference is, so that I can make this how I always feel about my work. I know it’s not a change in the kids, they’re just as challenging and wonderful as ever. It has something to do with me. Maybe I do better when the days are longer and the sun is out. Maybe the seven weeks until summer has me more relaxed or the promise of STAR testing being over soon is comforting. Perhaps it is the end of two years with the same kids and the knowledge of my real love for them as our days come to an end. Then again, it could be I have slowed down after work, making more time for nothing instead of cramming every moment with writing. Or, just maybe, I really did pick a profession I enjoy and this is the beginning of years of liking what I do. Oh goodness, if I could only be so lucky. If to teach and write could be enough, my life would be full in a way I always dreamed but never expected. Week 32 was test prep and our annual teacher appreciation days. I got sweet notes and gifts and words of encouragement. Smiles where sometimes there has been conflict. Little gestures of gratitude to show I am at the right place at the right time with the right kids. As I stood in front of parents yesterday for Saturday School, I thanked each family for giving me the honor of spending two years with their children. My eyes filled with tears. The right place. It’s amazing how appreciation from families makes my job feel right.